In recent years dream pop has become a big part of the "NYC sound" - probably only second to garage rock. 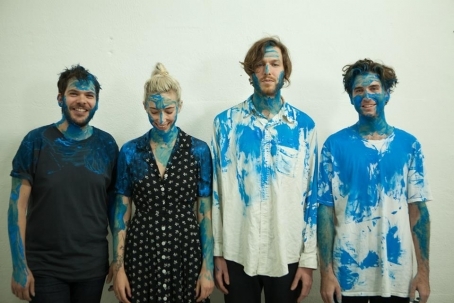 Although Brooklyn-based quartet Uni Ika Ai, founded by Lucius’ Peter Lalish and Toebow’s Maia Friedman’s, can surely be categorized under the dream pop umbrella, they have the merit to steer clear from the genre's canonized influences (Cocteau Twins, Mazzy Star and Broadcast). In “Make You Better,” the band's first single, Friedman’s voice draws an airy, slow melody over a glittering musical background where guitars and keyboards merge into each other, like colors do in paintings by the Impressionists. Baroque and classical elements emerge here and there, and new layers come to the surface or are exhausted as the song progresses. Their debut album, Keeping A Golden Bullseye In The Corner of My Mind will be released in mid October. Uni Ika Ai will begin a residency at C'Mon Everybody on July 13th.